The Mayan civilisation flourished across Central America from 2000BC until the 16th Century when contact with Spanish invaders ended their dominance of the region. Mayan warriors, artefacts and pyramids, along with playing card symbols will fill the 5 reels of Mayan Riches, a pokie from IGT that takes the colourful images from the theme and puts them in a game that has a couple of extra features to reward players who take a journey to ancient times. A lush jungle sits behind the reels and there’s a stonework design above, below and surrounding each set of symbols, all adding up to a nice, if somewhat unoriginal-looking pokie. But any game based on a topic like this is sure to be a hit, so IGT are simply catering for their audience and can’t really be criticised for it. The riches in this game come from lining 3, 4 or 5 of the same type of symbol across any of the 40 paylines that run left to right, as long as the line starts on the left side and is on connected reels. All of the game is in play, so it’s not possible to activate just a couple of lines to try it out, making the minimum wager 1.00. 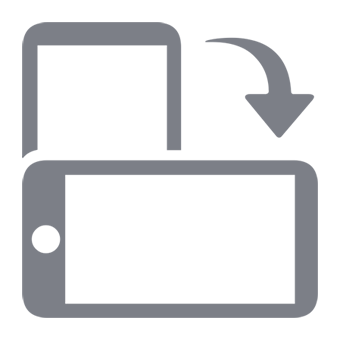 This can be raised in increments to a maximum of 200.00 a go and wins are calculated as multiples of the amount staked per line. Playing card symbols will fill most of the game at any one time and although these may be familiar from many other pokies, at least they have been modified to look as if they have been carved from stone to go with the theme. The smallest value wins come from the 9, 10, J, and Q symbols, each of which is worth 5x when landing across reels 1, 2 and 3, or 20 coins when they also stop on reel 4 and a full line pays out 100x. The K and A will each return wins equal to 5, 50 or 150x the line bet when stopping on 3, 4 or 5 reels at a time and there are some more valuable picture symbols topping the table. These include a couple of golden statues or ornaments that pay out 20, 75 or 250x, plus the warriors, in their elaborate gear, who are worth 25, 100 or 400x the amount staked per line when they stop across the reels. The most valuable symbol is the pyramid and this is worth landing for more than one reason. When it makes up a winning combination on its own, the rewards are 50, 200 or 1000x the per line stake, but it’s also the wild symbol in this game, so it can act as any other, apart from the bonus, completing winning lines when it fills in the gaps in combinations. For example, the K symbol stopping on reels 1 and 3 across a line wouldn’t pay anything, but if the wild can bridge the gap, players win as if 3 K’s had appeared. In another example of how the wild works, if 3 K symbols were on reels 1, 2 and 3, and the wild on reels 4 and 5 on the same line, players would win for a valuable 5 of a kind combination.To make all of this easier to achieve, the wild can appear stacked several high on any reel that it lands on. The bonus symbol is simply the word ‘Bonus’ in big, bold letters and although it only lands on the 3 middle reels and therefore isn’t worth anything alone, it will pay 2x the total bet when at least 3 of them appear at once, before starting 5 free spins. During these spins, a different set of reels is in use and there are extra wilds stacked across them. More bonus symbols in the right places will retrigger the free spins, potentially multiple times over, to a maximum of 255 games, although anyone who actually manages to achieve anything like this number is going to be incredibly lucky. 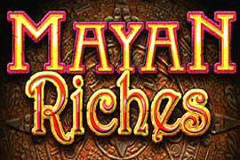 Players looking for an attractive game with a popular theme should look no further than Mayan Riches, as it has been designed with great attention to detail and any pokie based on an ancient civilisation is bound to be a hit. Anyone searching for a feature-filled game, where multiple, innovative bonus rounds are supplied, should perhaps look elsewhere, as this one really doesn’t have anything that hasn’t been seen before. In fact, the only aspect that’s even slightly out of the ordinary are the stacked wild symbols, but that’s not an issue for those who appreciate uncomplicated games, and Mayan Riches is a pretty good example, that will certainly prove popular at casinos worldwide.